Parenthetical letters--(A)--included with descriptions of the collection indicate the folders where items are filed. 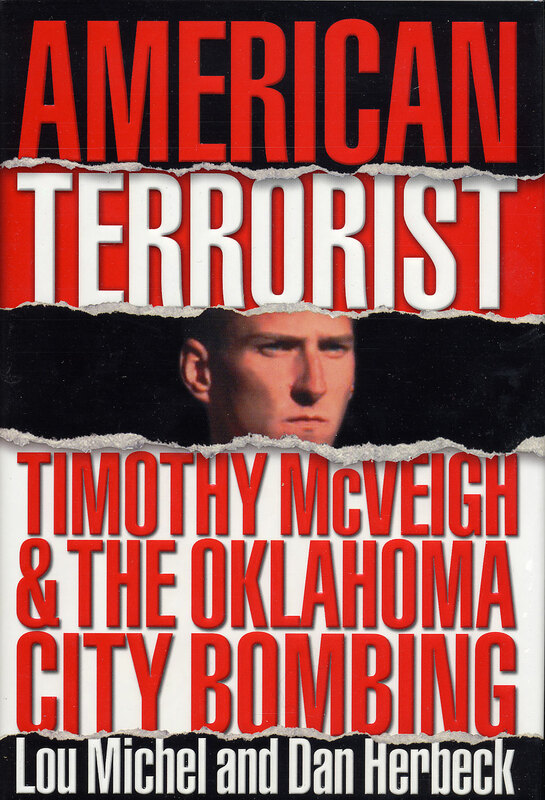 American Terrorist describes the role of Timothy McVeigh in the April 19, 1995 bombing of the Alfred P. Murrah Federal Office Building in Oklahoma City. 168 people were killed, and more than 500 were injured, in the explosion. The book recounts the path McVeigh followed which finally brought him to the Murrah building on that day, and the trial and execution which followed. Authors Lou Michel and Dan Herbeck , both Buffalo News reporters, were able to interview McVeigh for over 75 hours in preparing this book. They also had the cooperation of his parents and sister, giving them access to previously unavailable family materials. American Terrorist was published by ReganBooks, an imprint of HarperCollins, in 2001. Dan Herbeck is a graduate of the journalism program at St. Bonaventure. The authors donated this material to the school to aid journalism students and other researchers. The collection provides an inside view of how such a journalistic coup comes about and the effort it takes to turn out the final product. It includes original source materials, such as letters from Timothy McVeigh, as well as drafts leading up to the published version of the book. The collection at St. Bonaventure was donated in two parts. The first section consisted of material that demonstrated the process of writing the book. It includes some source material, samples of the writing and editing necessary to complete the book, promotional work done to market the book and reaction to the book after it was published. In 2010, a large collection of correspondence from Timothy McVeigh was added to the collection. It includes over 100 letters where McVeigh discusses the bombing, the book, the death penalty and his own life. It also includes the enclosures he added to many letters. These include magazine and internet articles, official documents and correspondence with other people, both within and outside of his personal circle. In the future a collection of audio interviews with McVeigh will become part of the collection. The library has added other books and digital files related to the Oklahoma City Bombing to the collection. A list of those additions may be found here. Please Note: No electronic reproduction of any of the material in this collection may be made without the written permission of the authors. This collection is available for the use of St. Bonaventure University faculty, staff and students. Outside researchers must first get permission from the authors. They may be contacted at the Buffalo News. This site was updated by Sarah Gagnon as part of a history internship in the Spring 2010 semester.